Group of professionals in their 30s. 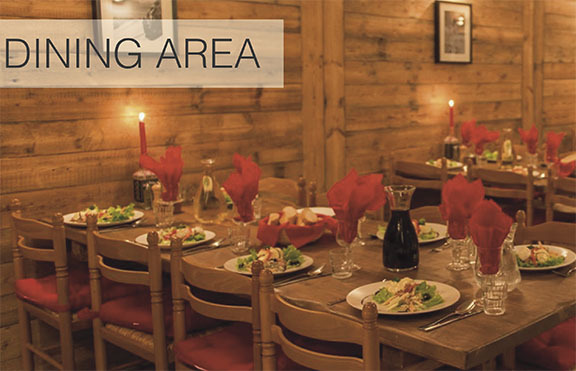 Looking for a catered chalet at a good price, we usually pay 350-450 GBP per person. Open to a self-catered chalet at the right price. We value being close to the piste over nightlife. We don't have enough cars to drive to the lifts. We do not require flights, as some people will self-drive, and others will be coming from different airports across the UK and Europe. Prefer twin and double rooms, without family suites. Some rooms with 3 single beds are acceptable. WiFi is essential, and jacuzzi/sauna is always welcome! Paradiski is a likely location this year, but I would be interested in high altitude Italian resorts which we have never visited, for example Cervinia, although it seems rare to find big chalets. This chalet will sleep 20 in 8 rooms and is very spacious too. Two living spaces and a large dining room. It comes on a catered basis but can keep the price down for you as its a large group. I can offer you a price of £399 each based on 18 giving you a generous discount. The chalet is situated in Peisey, Les Arcs and is 150m to the ski lift which takes you to the high speed chair to Les Arcs and the cable car to La Plagne so ideal to access all the Paradiski area. It has wifi, sat tv, games console, heated boot room, sauna... and of course great food too! I also offer discount on lift passes and on ski hire too. Solution: Potential solution proposed by Alpoholics Ltd.
Our Flagship property, Chalet Orshanti in La Plagne 1800, ticks all of your boxes and more. The catered price is £12,495 for sole occupancy for up to 21 people but I can £11,550 or £550 for 21 people. We also have 2 other chalets within 30 metres (15 beds and 13 beds) so can accommodate a range of configurations depending on your final numbers. We were shortlisted again for 'Best UK Chalet Company 2017' in the Telegraph World Snow Awards for the 4th year running because of the unique chalet experience we have managed to create. Check out our recent reviews on Trip Advisor where this chalet is ranked no. 1 for the whole Savoie region out of over 1800 properties. ➢ THE ALPS' FIRST OFFICIAL BREWDOG HONESTY BAR! ➢ HIGH ALTITUDE RESORT WITH 2 GLACIERS! This chalet is located at the top of Plagne 1800 only a 4 minute walk from the lifts. It sleeps 21 in 9 bedrooms, all with ensuite washrooms. 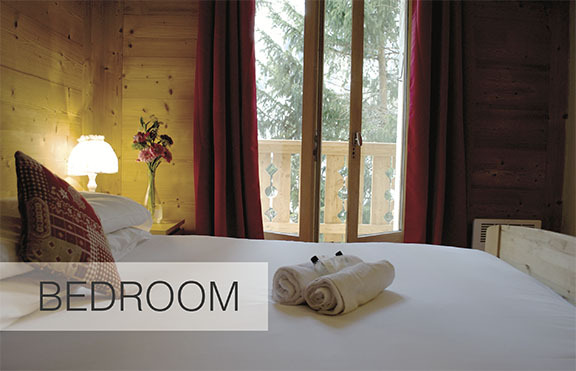 We can offer sole occupancy in 10 ensuite rooms in Mountain Maison, our charming chalet in Paradiski sleeping up to 26. It's 795 euros per person catered for a group of 22 or more including a 6 day La Plagne ski pass each. If you book by 10am Tuesday, I'll give you a free upgrade to full area Paradiski passes. The chalet has 2 sitting rooms, a large dining room, sauna, WiFi, lots of balconies, and we run an on demand private chalet shuttle to the lifts and back. See www.hiddenalps.com for more chalet info. Have you considered Icebreaker Chalets and the beautiful resort of Les Coches located in the heart of the Paradiski Ski Area for your Winter Holiday? Hello, we can offer you chalet Olive, which is a superb self catering ski in/out chalet with its own spa in Alpe d'huez. We also have another smaller luxury chalet ski in/out very close. 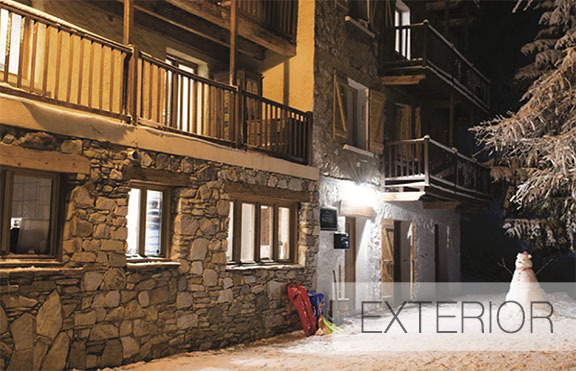 We also have luxury ski in/out large apartments in both Arc 2000 and Belle Plagne. The largest apartment sleeps 18, but there are other apartments in the same building of various sizes. They have a pool and spa complexes and either onsite catering or restaurants close by. Do get in touch for more details. Chalet Chardons have both Chalet Rosko and Chalet Hattiers, located in Tignes les Brévières, is available for your dates for upto 21 people. 7 nights’ catered accommodation at €499 per perso or €599 euros persons. Both chalets sleeps 21 and are a 2 minute walk from the slopes. Chalet Hattiers has a cosy TV lounge with flat screen TV and DVD player as well as free WiFi and a spacious balcony, Rosko has balconies from most rooms and benefits from a hot tub and sauna. · Beautiful Alpine Chalet in Tignes les Brévières, a traditional charming Alpine village. · Lift passes, discounted equipment hire and airport transfers arranged for you. · Just a stone's throw from the pistes. · Homemade 4-course evening meal served on 6 evenings, accompanied by free-flowing, bottled French wine. · Filling breakfasts EVERY DAY, consisting of a different hot option and an extensive continental buffet. 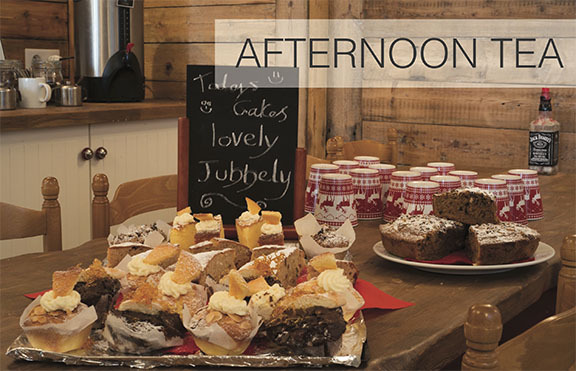 · Hot drinks available throughout the day with freshly baked cake daily. · In the world-famous Espace Killy high-altitude snow-sure resort, with over 300km of runs. Chalet Baikal is well furnished and maintained to a very good standard & represents an affordable option for a large group. The lounge and dining areas are very comfortable with a log fireplace and French windows onto a good size balcony. The chalet is located 50 metres from the green piste of La Tania which means you can access the resorts main bubble on your skis in the morning and in the afternoons you ski back to within 50 metres of the chalet. •	Two large lounge areas with sofas and coffee table. •	Dining area with large table. I hope this option is of interest ! Any questions please do not hesitate to contact me. We do have availability for upto 24 people from Sunday 3rd Feb – 10th Feb in Chalet Campanules and we would be pleased to welcome you to the chalet. The price for the week is £11,000 sole occupancy, fully catered, which reserves the whole chalet for you. The chalet has a mix of single, twin and double rooms. It has a Sauna. and its a ski in ski out chalet, but we always offer a driving service morning and afternoon also. To make a chalet booking please e-mail to confirm your place. We will then send you through an invoice, booking form and further information. Full details of the chalet and the service are available via the website www.ice-fire.co.uk but if you have any questions at all, please do ask. 19th January in chalet Pandora for £8041 (18 beds) or Chalet Bonne Etoile (up to 26 beds). FANTASTIC LOCATION- The chalet is in the heart of La Tania, with easy access to the piste and town. LOVELY CHALET- Spacious chalet, 9 bedrooms rooms all en suite, dining room and large living room with Wi-Fi, TV, DVD, Sky and Nintendo Wii. No. 1 on Trip Advisor in La Tania! We have rooms (catered, half board) in Sainte Foy from £166 p/night. We are 2-hours from Geneva, have outdoor hot tub plus you’ll have free access to our private spa and swimming pool. Our ski in chalets are in Sainte Foy (2620m), French Alps, and they enjoy a position near the nursery slopes/ski school. There are also bars, shops and restaurants within a couple of minutes’ walk from the chalet door. The Sunday Times placed Sainte Foy No.1 in their feature article the ‘World’s Best Family Ski Resorts’. And The Times wrote that Venture Ski has “built some great chalets with top-notch on-site childcare” and has “easily the best [cuisine]” compared to our peers? And in their two-page article on us the Daily Mail referred to “…faultless, cheerful service and great food”. Our Concierge Services team can assist you booking childcare, airport transfers, ski passes, ski hire and spa treatments or restaurant reservations. Chalet Le Bullou has 10 en-suite bedrooms and can accommodate up to 26 people. Price for sole occupancy is 14000€ as well on a catered basis. No need for cars, the lift is 250meters from the chalet ! Our chalet is situated just outside of Vaujany, a small, authentic Alpine village. Vaujany is a family friendly village with great amenities such as a swimming pool, bowling, amazing day care, an ice skating rink and daily animations. We have a spacious lounge with a log fire. On the ground floor we have a bar and dining room where James cooks fantastic three course evening meals. We have an on call shuttle service to take to you the village. To avoid any hassle on the day of your arrival we can arrange lift passes to be ready on your arrival. We also assist you with ski hire private transfers. * Wide spread of continental breakfast. * A drink on the house with canapes before dinner. * Outdoor hot tub with stunning view and sauna, use of bathrobes. * Private, on call, shuttle service to and from the cable car. * Towels, hairdryer and toiletries in your room. * Discounts on ski hire. Chalet Bleriot Chiron has 10 bedrooms and 10 bath/shower rooms. Ski in/out. 1 hour drive from Geneva, can park up to 8 cars, located on a private road. Only couple of minutes walk from village centre. €7100 self catered includes linen, towels, tea towels, sauna, wifi, final clean. As the chalet can be split into 2 independent chalets (double doors between lounges) you have the use of 2 kitchens, dining rooms, lounges with smart TV, wifi, laundry rooms, 2 garages. Lots of living space and balcony. Not sure if you are still looking? We can offer you exclusive use of Chalet Marmotte, sleeps 19. It is located in Champagny, La Plagne, Paradiski and has some amazing facilities, including a private indoor swimming pool, outdoor and indoor hot tubs, sauna, games room and is just 400m from the pistes and lift. The chalet has lovely views across the valley to Courchevel, leading onto a snowy meadow which is ideal for tobogganing. We have an excellent team of chefs again next year, so we know the food will be good! The catering consists of breakfast, afternoon tea and cakes and a delicious 3 course evening meal with wine. Other facilities include: wi-fi, Sky TV. Location: 400m from pistes and village centre. The resort is very picturesque but also has a lively centre containing several good bars, arranged around a village square. The ‘Bar Le Timbale’ has live music and dj’s at the weekends. The village is part of the huge Paradiski area (consisting of La Plagne and Les Arcs, offering some 425km of pistes) and the Champagny ski area is directly linked into La Plagne – you can be in La Plagne Centre in under 30 minutes. The village has an excellent local ski school and the ski hire shop we use also has a free overnight equipment store with boot warmers, meaning you can walk back to the chalet in your normal shoes instead of clomping there in big plastic ski boots! Chalet Madosa: a lovely 6-bedroom chalet sleeping up to 18 people in the heart of Morzine. The chalet enjoys a great location within walking distance of the main ski-lifts serving Morzine, Avoriaz, Les Gets and beyond, with numerous great bars, restaurants, shops and amenities nearby. La Vieille Ferme de la Moussiere: a truly unique farmhouse/chalet steeped in history and charm. The chalet enjoys a village centre location; with a range of shops, bars and excellent restaurants within easy walking distance. Our location right in the heart of the Portes du Soleil ski area means that over 650km of varied ski-pistes; plus excellent off-piste terrain can be reached within 10 minutes using our complimentary, flexible, door-to-door mini-bus service. Thank you for your enquiry,we would be very happy to welcome you at Chalet Beau Soleil for your dates 19thJan to 2nd February. We can offer you: £600pp including return Geneva Airport transfers within operational hours (approx 1 hr 15). For sole occupancy, please contact me directly. We are about 15 minutes from Chatel and provide a private chauffeur driven minibus to get your group to their choice of lifts and back each day, allowing for access to the whole Portes du Soleil ski area - without the need for walking! Our nearest bar is a 5 minutes' walk away, spa in Chatel, dog sleigh rides, ice skating and much more. Chatel is a great resort for all ages and abilities - linking into Avoriaz, Morzine and Les Gets, with some very good snow parks for boarders.